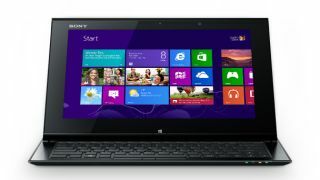 Can Windows 8 strike back? Not that bothered about Windows 8? You're not alone. To even the most disinterested observer, it's clear Microsoft has a lot work to do to get people enthused about its touch-centric efforts, and the forthcoming Windows 8.1 (Windows Blue) update is a big part of that. We met Microsoft's Windows Product Manager Ian Moulster away from the show floor at the recent UK Gadget Show to get an update on how things are going with the OS. The change in tone from previous Windows 8 briefings we've experienced was marked. Gone were the big messages about the Windows 8 Start screen and Windows 8-style apps. The atmosphere was more introspective - has the Start screen been over-emphasised? "I've changed my pitch - I hate saying it's my pitch - from starting with the Start screen to starting with the Windows desktop when I talk to people about Windows 8," considered Moulster. "When you show them the desktop it looks like Windows 7 and in fact it is pretty much like Windows 7 except that it's faster, it's more secure, uses less power, starts up quicker and has interface tweaks across the board. "Essentially if you like Windows 7 you should like Windows 8 because it's much the same only improved. And then on top of that there's all the Windows 8 stuff which you can use when you're ready to use it." Has Microsoft placed too much emphasis on the Start screen? Moulster talked about how this "desktop first" approach may speak more to those migrating from Windows 7, with Microsoft possibly shifting the focus away from the new world of the Start screen at first. "To me that resonates more with certain people who are coming from a Windows 7 background so I'm just wondering whether emphasising the Start screen to everyone might not be the right way to do it for us and others too. "[The Start screen] is the new bit and it's the exciting bit so we want to talk about it but actually for a lot of people it's about doing their Windows 7 stuff and slowly get into 'OK I can do other things as well'. And suddenly it's 'well, I've got all these free apps I didn't know I had and I can play Angry Birds and gradually get into it'." Moulster was also keen to find out what we thought about the new OS. When we brought up about the negative feedback from users we've received in comments on TechRadar, Moulster mused over whether there was a skew between early adopters and "people who are less techy". He also suggested that coming to Windows 8 without stigma does have positive results on touch-based devices. "I bought my mother, who's 76, a Surface and - obviously while I helped her somewhat - she loves it and just gets on with it. She does her email, online banking, she does everything. What she doesn't use is the desktop. She doesn't really know it's there - she's got fairly simple needs. "She had a laptop before and a netbook where the screen res was so low… It's easy to use, so there's that class of user that's not at all tech savvy and as long as they're starting from scratch with the Start screen, it's actually more easy to use." Although there are some great apps in the Windows Store - and numbers are in excess of 50,000 - we made the point to Moulster that we'd been surprised at the lack of big-name apps materialising at the Windows 8 launch. Skype and Twitter launched later, while Facebook (which Microsoft has a stake in, let's not forget) still hasn't appeared.